Gabrail Cancer Center Research LLC was founded by Nashat Y. Gabrail, M.D. in conjunction with his oncology medical practice. To date, GCCR has been involved in hundreds of clinical research trials for new cancer treatment drugs and procedures since its inception over a decade ago. Dr. Gabrail has become a leading expert in oncology clinical trials. Dr. Gabrail does not operate GCCR alone, though. GCCR is staffed by a robust group of individuals that includes experts in data management, study coordination, pharmacy services, and regulatory affairs. GCCR has become the most sought after community oncology research program by sponsors and CROs, acting as a testament to GCCR’s ethical and patient-focused research procedures. 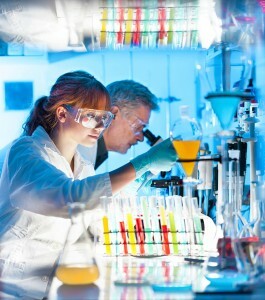 In fact, GCCR has all but perfected the start-up and recruitment process for clinical studies. GCCR is the first site to open in 90% of the studies we are involved with and enrolls the first patient in 80% of the studies as well. Below is a non-exhaustive list of our currently enrolling cancer research studies. If you have cancer and are interested in finding out if we have a clinical trial for you please call us at (330) 492-3345 or email us at info@crtrials.com. Check back soon for upcoming trials. A Phase 1/2 Open-Label Study to Evaluate the Safety, Tolerability, Pharmacokinetics, Pharmacodynamics and Efficacy of VT-464 in Patients with Advanced Breast Cancer. A Phase 1-2 Dose-Escalation and Cohort-Expansion Study of Oral eFT508 in Subjects with Hematological Malignancies. A Phase 1/2, Open-Label Safety, Pharmacokinetic and Efficacy Study of TAS4464 in Patients with Multiple Myeloma or Lymphoma. A Phase 3, Randomized, Double-blind, Placebo-controlled, Multicenter Study of Bendamustine and Rituximab (BR) Alone Versus in Combination with Acalabrutinib (ACP-196) in Subjects with Previously Untreated Mantle Cell Lymphoma. A Phase III Study of BBI-608 plus nab-Paclitaxel with Gemcitabine in Adult Patients with Metastatic Pancreatic Adenocarcinoma.